Schüller is regarded as one of the world's top 5 kitchen manufacturers and offers a mix of styles, finishes and size options. The innovative features of Schüller kitchens enables you to have your new kitchen exactly as you want it. Whether you are after a high gloss finish or a satin sheen to your units or perhaps want to go handleless, getting a new Schuller kitchen means that you are getting something built to last many years. Schuller kitchens are from Germany and deliver the great style often associated with an Italian kitchen. If you are looking for good value for money but still want all the benefits of a German kitchen, then Schüller could well be the ideal brand for you. 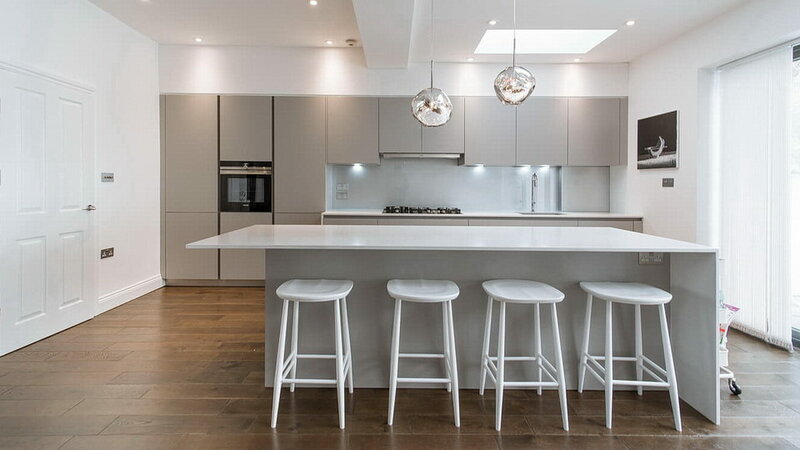 As with our other kitchen suppliers, their range is large and flexible and their kitchens are particularly ideal for creating a wonderful family kitchen. The units come in a wide range of finishes, colours and styles, just have a chat with us about the sort of kitchen you are after and let us wow you with our ideas! When designing a kitchen, the layout is just the beginning of the decision making process. Then there are then the choices regarding the kitchen unit finish, the worktop materials, the colours and the ideal appliances that meet your budget. The last few years have seen a dramatic growth in the sorts of kitchen finishes available and we are here to help you through that maze of options. Besides the typical gloss or veneer finishes, you can find glass doors (glossy and matt), concrete, porcelain, spray lacquer (in various finishes) and real wood veneers. This gives you great choice but you also have to consider your budget and practicality. Hard wearing veneers may work best for you in most places, especially if there are small kids around, but there is always a chance to mix it up with a little something special on some of the units if you wish. Our designers are always on hand to show you samples and help you understand just what options you have. 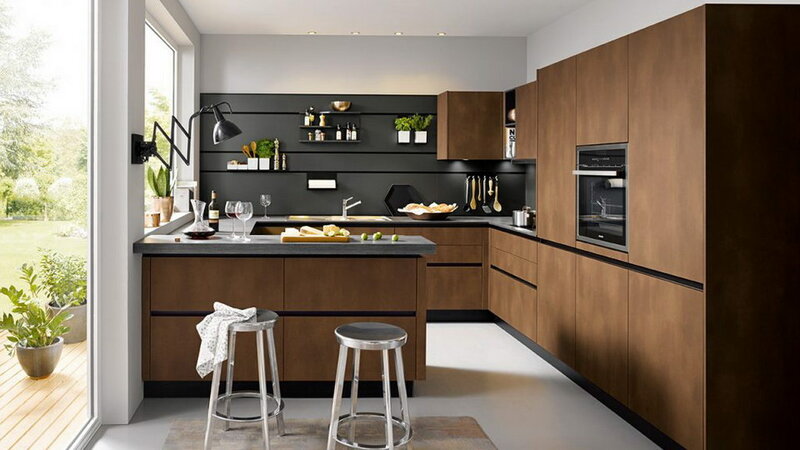 Call 020 8455-3226 to see if a Schuller kitchen would match your desires.